The Side Effects of Turmeric | Very Healthy, Just Don't Eat it by the Spoonful! This spice is well known to help cure stomach problems and arthritis pain. However, it is powerful and needs to be used with some caution. But if you're healthy, unless you eat it by the spoonful, it's unlikely you'll ever have to worry about the side effects of turmeric. Saying that, there are a few areas where it may become an issue. 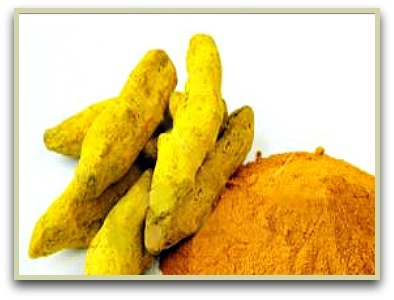 Luckily, the turmeric side effects are well documented and easy to avoid. To start with, it’s important to know that it's safe for adult use. Like most things, it only has side effects when it’s taken in very high quantities. Personally I use it nearly everyday in my cooking and have never had any issues. However, you should know that in high doses, some people may experience dizziness, diarrhoea and possibly nausea. It's not safe for use in pregnant women because it stimulates the uterus and can be risky for the pregnancy or encourage bleeding. It’s also not safe for women to use after pregnancy and during breast feeding as well, so avoid. Because of its stimulant properties, it should not be taken in any large quantities by anyone who is about to have or has just had surgery, as it can slow down the blood clotting process and can lead to excess bleeding during the surgery and afterwards. You also need to check with your doctor if you are taking any blood clotting medications such as anticoagulants or antiplatelet drugs. Anyone who has problems with their gall bladder should also steer clear as it can exacerbate the situation. Avoid if you have gallstones or any obstruction of the bile duct. Basically if any of the above applies to you, check with a doctor or health professional before using. ...there are certainly lots of turmeric benefits. Now research is going on in Arizona looking at its boosting medical understanding of its role in pain management. Read detailed info on the many health uses. The best way to get more into your diet without worrying about the side effects of turmeric is to add a little to your food. Mix it into salad dressings or season your vegetables with this lovely spice for added flavour. Of course, you can also add it to meats and soups, not to mention curries of course. And many of my blends and mixes make use of it. But a favourite way of using it, as practised in traditional medicine, is to make a super potent drink from the powder. 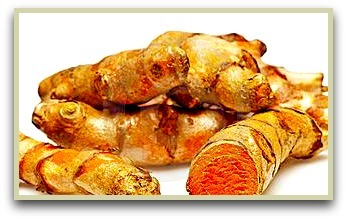 Click for my turmeric tea recipe. So, just add a little to your diet and you’re sure to get the maximum turmeric heath benefits with no unpleasant side effects at all!